When ‘Abdu’l-Baha was in New York, He called to him an ardent Bahá’í and said “If you will come to Me at dawn tomorrow, I will teach you to pray.” Delighted, Mr. M arose at four and crossed the city, arriving for his lesson at six. With what exultant expectation he must have greeted this opportunity! He found ‘Abdu’l-Baha already at prayer, kneeling by the side of the bed. Mr. M followed suit, taking care to place himself directly across. Seeing that ‘Abdu’l-Baha was quite lost in His Own reverie Mr. M began to pray silently for his friends, his family and finally for the crowned heads of Europe. No word was uttered by the quiet Man before him. He went over all the prayers he knew then, and repeated them twice, three times still no sound broke the expectant hush. Mr M surreptitiously rubbed one knee and wondered vaguely about his back. He began again, hearing as he did so, the birds heralding the dawn outside the window. An hour passed, and finally two. Mr. M was quite numb now. His eyes, roving along the wall, caught sight of a large crack. He dallied with a touch of indignation but let his gaze pass again to the still figure across the bed. The ecstasy that he saw arrested him and he drank deeply of the sight. Suddenly he wanted to pray like that. Selfish desires were forgotten. Sorrow, conflict, and even his immediate surroundings were as if they had never been. He was conscious of only one thing, a passionate desire to draw near to God. Closing his eyes again he set the world firmly aside, and amazingly his heart teemed with prayer, eager, joyous, tumultuous prayer. He felt cleansed by humility and lighted by a new peace. ‘Abdu’l-Baha had taught him to pray! This month’s video includes highlights of a devotional meeting held at The Magdalene Carney Baha’i Institute. It includes a video compilation of the Baha’i friends, who were asked why they became a Baha’i and how it has changed their lives. The program includes a classical music concert performed by Lynda and Gareth Johnson. I listen to this every morning of the Fast – and it brings tears to my eyes every time I hear it, as it takes us to a different world. I hope it moves you as much as it does me! The CALM Handbook: A Communal Approach to Learning Meditation by Paul Profaska provides an easy to follow, step by step guide that will take the learner through the rudiments of meditation to the ability to meditate on one’s own. Many people today are interested in meditation and its benefits but do not know how to start. This is an easy-to-follow course designed for small groups of beginners. No particular form of meditation is promoted but the course, which is based on the Bahá’í writings, introduces participants to reflection on scripture in a gentle and profound way, and it generates strong bonds of fellowship amongst group members. It has proved to be a useful stepping stone to the Ruhi Training Institute courses. The CALM course is designed for small groups of beginners who are initially guided through the meditation by a Coordinator. The CALM Coordinator’s Guide: A Communal Approach to Learning provides an easy to follow, step by step guidebook that will help new Coordinators start CALM courses and assist them to take learners through the rudiments of meditation to the ability to meditate on their own. shows us how meditation can be applied in our lives. The book comes complete with the CALM Guided Meditation CD. Jim Tolles is a spiritual teacher and healer who helps people grow, heal, and embrace their spiritual paths. He teaches intuitively from the truth and love of this moment, trusting the sacred process to show what most needs to be shown. When someone is sincere in their inner dedication and their personal work, a lot of amazing shifts can arise. 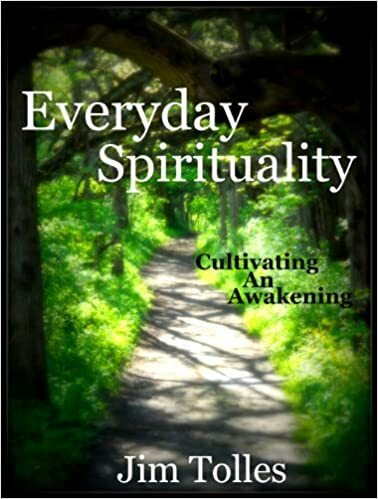 His book, Everyday Spirituality: Cultivating an Awakening is full of down-to-earth tips and practical ways to be more mindful and loving in your life as you build a spiritual path that works within the confines of your busy life. If you need to heal, this book has a section that offers different ideas and practices to heal everything from your heart to your sexuality to your mind’s constant chatter. If you’re ready to go deep, the Awaken section takes you further into yourself to amplify your energy and create space for deeper connection and potentially an opening into a profound experience. Caleb Gilleland of NineBranches is dedicated to helping every local and national Baha’i community in the world to have an amazing, high quality, modern, clean looking website that attracts the hearts of both seekers and Baha’is and helps connect them to the Core Activities where they live. These days, when someone hears about the Baha’i Faith the first thing they’re going to do is Google “bahai yourtown“. When they do that, you want your community’s website to be right there at the top. Caleb’s typefaces are beautiful, clean, and modern. His designs are simple, but inviting and versatile; and best of all he designs your site so that it’s relevant to the community where you live. Who is in this religious group? Are they really part of our city? People need to see that your Local Baha’i Community is bigger than just overtly religious events. They want to know that it’s a real community of real people who care about each other and live life together. A good local Baha’i website is complete with impactful photography of your community and region, a robust events calendar, well-written general information about your community and the Faith, links to other Bahá’í sites, how people can contact with us and sign up for emails, gentle calls to action and more. 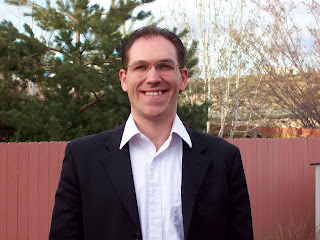 Caleb makes sure that your new site ranks highly in search engine results. Isn’t it time for your Baha’i community to build a website so that seekers and Baha’is can find you and become part of your story? Exciting News! Caleb is hard at work redesigning the look and feel of my own website! Watch for it sometime later in March! The secrets behind using images on your local Baha’i website. What it means to have an effective social media strategy. Thanks to all who write in! Even though I do this for God, your encouragement really keeps me going! See you next month! Hope it’s a month filled with lofty thoughts as you go into the Fast!